If you are interested in joining the band please come along to any of our regular Tuesday evening practice sessions - or better still one of our introductory "taster evenings" - check the blog for details. Many of the great tunes we play are written by our leader Robin Dunn, but we also play traditional tunes. 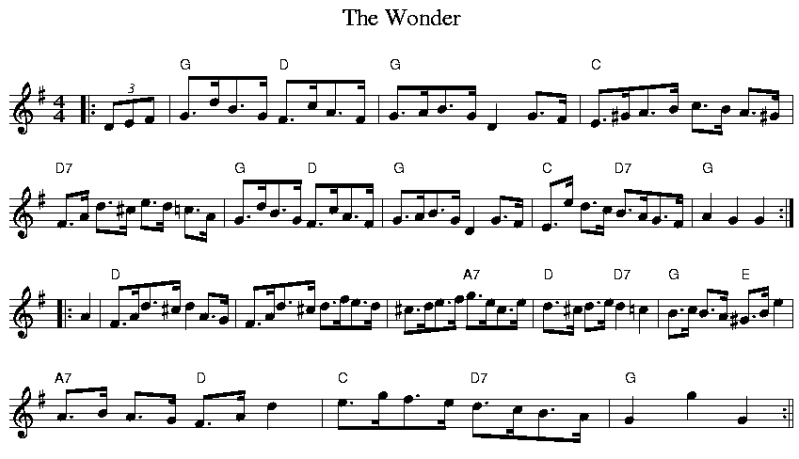 Here is a sample of one of the tunes we play, with "the dots" for you to try yourself and play along. This tune is by Newcastle fiddle player James Hill (1811 - 53). We meet for practice most Tuesdays in a back room on the second floor of the Central Hotel, Gateshead.